The new Homes (Fitness for Human Habitation) Act 2018 is due to come into force (in England only) tomorrow, 20 March 2019. I wrote previously about it with some tips for landlords here. The main point of this Act is that it gives tenants the right to sue their landlords if their property is in such poor condition, that it is ‘not fit for human habitation’. In the past, tenants have only had the right to sue if the property was in ‘disrepair’ (under s.11 of the Landlord & Tenant Act 1985). However, if the property was not in ‘disrepair’ (ie if nothing was actually broken or damaged) but just in a very poor condition, then tenants had no right to do anything. They were dependent on Local Authorities to take action, maybe after the Council had carried out a Housing Health and Safety Rating System (HHSRS) inspection to assess whether any of the 29 possible “hazards” (including many things, from Damp and Cold, to poor Security, Asbestos and Trip hazards) were present at the property. However with the staffing shortages brought about by austerity, and for various other reasons, many Local Authorities were not in a position to do much, if anything. This seems a good time to reflect and consider the new Act and what it means for landlords, tenants and the rest of us. Let’s take a look at private landlords first. We are assured that the Act cannot be used for trivial matters, so for most private landlords it should not be a problem. Most decent landlords take care to ensure that their properties are in good condition. So, save for those with persistent damp and mould issues which are not down to disrepair, they should be unaffected. Rogue or criminal landlords will also be unaffected as they don’t take any notice of the law anyway. 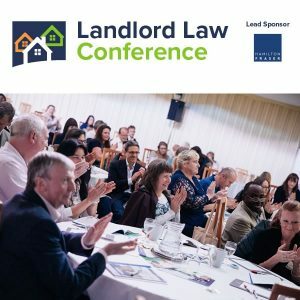 They take care to operate under the radar with tenants who are not in a position to complain – as has been described by Ben in his series on the business models of criminal landlords. Tenants will generally feel worried about taking hostile action against private landlords (any private landlords really) – at least while there is a housing shortage, as they risk eviction claims under section 21. Even if the Council pitches in and serves an improvement notice, this will only delay a section 21 notice by six months. So most private tenants whose landlords are dragging their feet over repairs will be unwilling to risk it. There is also the question of funding for any court proceedings. Few solicitors seem willing to offer no win no fee agreements to private tenants. 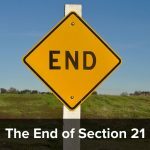 No doubt due to the possibility that the tenants will be evicted under section 21 before the case comes to trial, or that if a judgment is obtained the landlord will have insufficient funds to satisfy it. The one area where landlords may have cause to worry is where their tenants have long- term security of tenure. Such as assured (non-shorthold) tenants and protected tenants (Rent Act 1977). 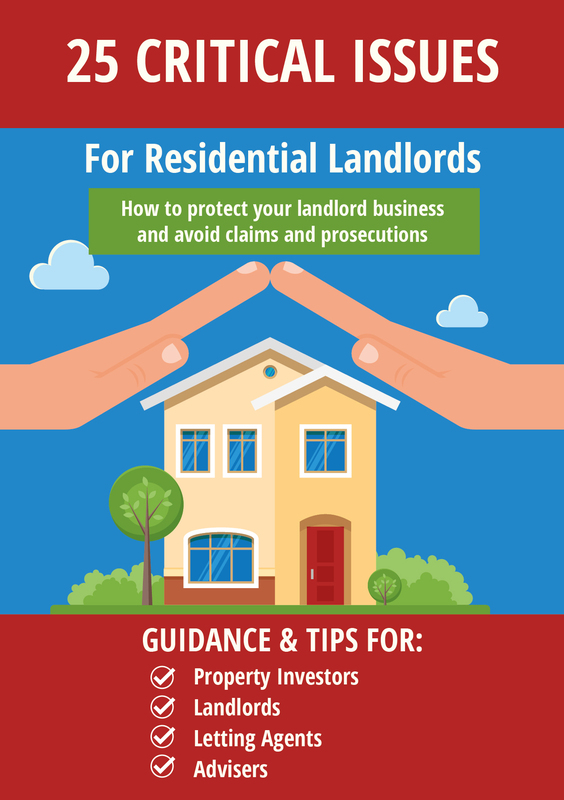 If you are, say, a protected tenant and your landlord has refused to deal with (say) your persistent damp problem – now might be a good time to take legal advice. The situation is different with social landlords, and this is probably where the main action is going to be. Already there are many no win/ no fee claims being made against social landlords, driven often by claims companies sourcing suitable prospects (having discovered that personal injury no longer pays as well as it used to). Such disrepair litigation is particularly prevalent in much of the North of England, and elsewhere in the country. However, there are many situations where tenants have not, in the past, been able to claim. If a property is dripping with damp and covered by mould but there is no actual ‘disrepair’ – then this has, in the past, not been actionable (save maybe through the trickier and less familiar Magistrates’ Court claims under the Environmental Protection Act 1990 – as in this case). 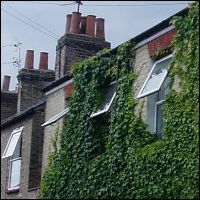 The Councils cannot undertake HHSRS inspections or enforcement on their own property, and rarely if ever do so on housing association property either. So tenants frequently had no remedy. After tomorrow however it will be different. Unlike private landlords, solicitors are normally only too happy to act on a no win/ no fee basis against social landlords. So this legislation is seriously bad news for social housing landlords. Of course, nothing can excuse failing to keep properties in proper repair. However, I predict that there will now be a large number of claims which could put some social landlords in financial difficulties. No win/No fee (Conditional Fee Agreement, or CFA) solicitors are no doubt rubbing their hands with glee at the prospect of a new area of litigation opening up. It must be an exciting time to be a property litigator. Solicitors are necessary, as these claims can be tricky and hard for tenants to deal with on their own. However, the CFA solicitors currently driving disrepair claims against social landlords are not always friends of tenants. Often, their first instruction to the tenant is not to let the landlord in to do repairs, in an effort to drive up any damages claimed. Also, the No Win/No Fee does not always extend to protect a tenant who loses a case, and – even though they will not have to pay their own solicitors – they may well find themselves at the wrong end of a four- or 5-figure costs bill to cover their social landlord’s legal costs. Then even when a tenant wins such a case, solicitors sometimes claw back at least 50% of any damages won from the landlord. So if you are a tenant and are contacted by a company offering you the chance of a No win/No fee agreement to claim compensation from your landlord – don’t sign up immediately. Do a bit of investigation and get some independent advice first. For example, speak to your local CAB as they may be able to recommend other firms who will offer you a better deal. It is undoubtedly a good thing that rented properties must be “fit for human habitation”. This is entirely right and proper, although the definition of what actually “fit for human habitation” means to a court will take some time to emerge – not a lot of help is given in the Government’s guidance. At least some tenants, principally those in social housing and in the more secure types of tenancies with private landlords, will now be able to take action to force their landlords to improve their shoddy homes. This legislation is going to be tough for social landlords who will undoubtedly see the already epidemic-level of disrepair claims in the courts increasing still further. Hopefully, those tenants who are ‘trying it on’ with trivial issues will have their cases chucked out. But social landlords will still have to finance at least some (and in many cases all) of their defence costs which will result in less money available for repair work and building new much-needed homes. As always the most serious offenders, the criminal landlords, will carry on regardless. Their tenants will be too scared to do anything. What is needed with criminal landlords is more enforcement not more legislation. Preferably by the Police who are (or should be) better equipped to deal with ‘proper’ criminals than Council housing officers. So the new act has both plus points and minus points. On the whole, I think it should be a force for good. There is no justification for renting out property unfit for habitation. Hopefully, this new act will send out a message and change attitudes in the industry. From now on ‘fit for human habitation’ should be the starting point for assessing the condition of all rented properties. Thanks to Peter Marcus of Zenith Chambers for his help with this post. Postscript – some of the comments in this article have been challenged in the comments so please read these also. You will find them below. « Landlords, do you believe in climate change? What are you doing about it? I agree with your take on it Tessa. The worst property conditions are in the real bottom end of the PRS, where the criminals operate, renting to people with little to no choice for a variety of reasons and they will simply respond to any attempts at any form of challenge by illegally evicting the occupants. Which is what they do now, forget s21. This is going to be more of a problem for social landlords as time goes on, where it will cost them a fortune just defending the claims, let alone improving stock. What are your thoughts on whether a Category 1 Hazard would always meet the test of “it is so far defective in one or more of those matters that it is not reasonably suitable for occupation in that condition”? I think it is impossible to say, it would have to be dealt with on a case by case basis. I suspect in most cases it would = unfit but not in all cases. The Homes Act differs from Housing Act 2004/HHSRS in that a hazard only counts it it presents a risk to the health and safety of the current occupiers. The HHSRS also includes hypothetical occupiers. So I can imagine a situation in which there is a cat 1 hazard for hypothetical occupiers, but not for current occupiers. In that case a cat 1 hazard wouldn’t necessarily make the property unfit. That I wouldn’t expect that to come up often, so by and large, a cat 1 hazard is very likely to amount to unfitness. I wonder whether in practice a tenant will be willing to risk a court case on an untested law with a threshold not yet established without evidence from the local authority under HHSRS and therefore it might become synonymous with a Cat 1 hazard almost by default? I cant ever seeing it being the case that a normal landlord, mindful of the condition of their investment,would ever find themselves in a cat 1 position. Also, if a council do deem a Cat hazard of any stripe, then they first give the landlord ample chance to fix it first. As with Prohibition notices, councils dont dole them out like parking tickets and there is ample scope for appeals if they do. Well I suppose there is Hull whose policy is that (unless a landlord is accredited) they will use the formal procedures first. As per the recent case https://nearlylegal.co.uk/2019/03/getting-a-policy-wrong-housing-act-2004-enforcement-in-hull/ where this approach was found to be correct in law. Not imtimating anything really, just wondering. The claimant in the case seemed to misunderstand this point. Which I’m also guilty of – I previously thought that the council had a duty to issue an Improvement Notice or a Prohibition Order if a Cat1 hazard was found. As for this law, the definition of unfitness is, I believe, the one defined in the Landlord and Tenant Act 1985? I assume there’s decades of case law firming up this definition, but unfortunately for us laypeople, that’s not much help. The 2004 Act and associated guidance gives you a lot to sink your teeth into by point of comparison. Even though a landlord or agent couldn’t be possibly expected to score hazards themselves, they should still have a fair idea of what constitutes a Cat1 or 2 hazard based on the guidance. Does the definition of fitness take into account the circumstances of the occupant? IE, age, mobility issues, etc? My thumbnail guide might be useful. And yes, the issue is risk to the health and safety of the occupiers, so it may be that the circumstances of the occupier come into play. But my view is unfitness is quite a high bar – risk to health and safety or, maybe, undue inconvenience or discomfort. Sadly, Ben, I have to disagree. I often come across social and private let properties with serious risks to health and safety. Giles I would say for certain that the worst properties imaginable are in the criminal end of the PRS. I totally agree with you but my point is that I have concerns over how these people will respond to any challenges under the Homes Act. Whenever seriously overcrowded rent 2 rent scam properties are discovered, the landlord and agents respond by intimidating and illegally evicting the tenants. These scenarios are all we deal with day in day out. Yes youre right Ikram, its often impenetrable and not made any easier by different council teams making different interpretations. But on your last point the HHSRS that sets all of these categories of hazard is based on what they call ‘Notional occupation’, in other words a hypothetical tenant, in a possible ‘At risk group’. The steepness of stairs might be not be considered a hazard, unless the occupier is elderly, in which case that has to be taken into account. EHOs have long been concerned with the HHSRRS as it has never been reviewed since its inception and working with it for 15 years now the shortcomings and procedural problems are well known to all EHOs although I hear they are about to conduct a review of it. Now I’ve had a moment, I must take issue with some bits of this (which I presume come from Peter Marcus). Now, the comments about CFA solicitors ‘driving’ claims against social landlords are both unfair and inaccurate. First, solicitors aren’t ‘driving’ it. They deal with the claims that come to them. It may be that Peter Marcus is muddling up solicitors and claims farmers. If so, he really shouldn’t. Claims farmers are the ones leafleting and cold calling. I have no time for claims farmers – more in a minute. Second, no competent solicitor would advise the tenant not to let the landlord in to do repairs. It doesn’t drive up damages and could and would be used against the client. Again, Peter may be thinking of claims farmers, who aren’t lawyers and whose advice is often dubious. Third, no win no fee never extends to the landlord’s costs if the tenant loses. There is no ‘does not always’ about it, it never does. There may be after the event insurance available to the tenant claimant. But anyone who proceeds on a no win no fee agreement will have been advised about the risk of being liable for the other side’s costs. Quite why this – an inevitable element of a CFA – means that claimant solicitors are ‘not always friends of tenants’ escapes me, and actually looks more like a smear, as if it somehow could be otherwise but the dastardly solicitors are pulling a fast one. Fourth, if anyone is charging a 50% success fee, then yes I would strongly advise tenants to shop around. 50% is ludicrous, except perhaps in the most high risk of cases. Personal injury success fees are limited to 25% of damages and I’d take the view that this is what fitness/disrepair clients should expect. Fifth, if you are a tenant and are contacted by a company offering you the chance of a no win no fee arrangement, I’d say don’t sign up with them at all! They will be claims farmers. Solicitors cannot cold call. Again, the difference has perhaps escaped Peter. Claims farmers do nothing of any purpose except add an additional cost to the tenant. Lastly, tenants ‘trying it on with trivial issues’ and this ‘epidemic-level’ of disrepair claims in the courts. We are back to the claims farmers again. Any solicitor risking a no win no fee arrangements on trivial or weak claim is not going to be in business for long. Claims farmers often chance it. The reason for this is that all too often social landlords just chuck money at them to go away, rather than fighting some of the weak cases (which is why there isn’t an ‘epidemic’ in the courts, claims farmers don’t/can’t issue the claims at court.) The only answer to dealing with claims farmers bringing bad, trivial or spurious cases is to defend some of cases, not give in on a quick settlement. The odds are very good that the claims farmers will then avoid that social landlord. If they do actually involve solicitors and, amazingly, the solicitors take on the weak or spurious case, the same applies. Fight some bad cases hard and the problem will go away. I did say the act was a ‘good thing’! As indeed it is. Also although I think that being a solicitor is an honourable profession (and I was one myself for many years) and although I believe most solicitors are good and honourable people – I cannot put my hand on my heart and say that this is always the case. I was recently sent a list of legal aid housing specialists in London, amounting to just 17 firms. I know of others who werent on the list but even if we doubled it to 32, that is still a tiny amount for the size of the problem. Safer Renting jump in where we can and do as much as we can but we are mindful that we cant litigate because we arent lawyers but the problem we get is not legal eligibility at all, its finding a housing specialist legal aid lawyer who has capacity to take the case on. I have several usual suspects in my little black book but the phone calls always work out the same way “Sorry Ben, we’re snowed”. Also, as I state above, the kinds of criminals we deal with simply illegally evict people who complain. Its not even retaliatory eviction under s33 and it isnt even a s21 issue as they dont bother with any form of notices. Today I was reading through the Gov.uk guidance sheet for tenants on making claims under the Homes Act, in anticipation that as the weeks roll ye we are going to get more and more of these referred to us by our five partner London boroughs and all I could think of as I read through it, are the things the criminals we deal with will do to evade legal action. Most normal landlords will never find themselves subject to the Homes Act and the criminals will just respond nastily, leaving the only viable targets councils and housing associations. Which is fine and like Tessa I welcome the Act with open arms, I’m just not convinced it will help tenants forced to live in the Pig’s trough end of renting, because any form of regulation is entirely disregarded and always result in swift retribution. Tessa – thanks. I just wanted to get that off my chest. Yes legal aid deserts are a serious problem. Ben – agreed on the criminals. But that is a whole other issue which needs tackling very differently. I largely agree, but there is a rather blase assertion that solicitors are routinely advising tenants not to allow their landlords to conduct repairs. I imagine that the SRA would be interested if there is any evidence of this occurring.